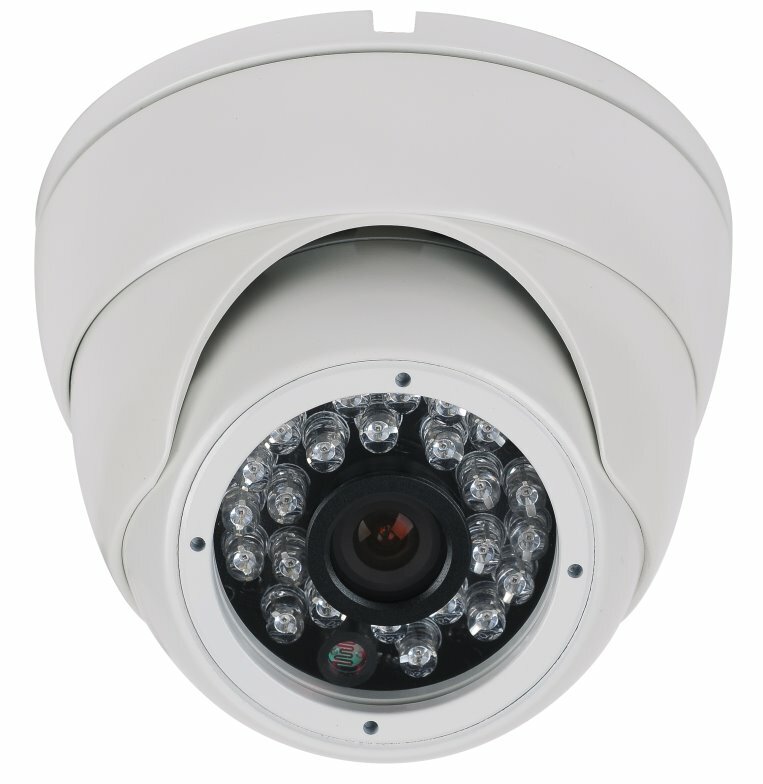 The TVI-FDIR-5MP infrared dome camera comes equipped with the 1-2/8" Progressive CMOS Sensor and 24 Smart IR LEDs. The day/night feature provides excellent full color images in daylight then changes to black and white at night or very low light and activates the 24 IR LEDs to provide clean clear images up to 75 ft. even in complete darkness. The eyeball dome design allows easy installation on walls or ceilings and the small housing is appealing for both indoor or outdoor applications. 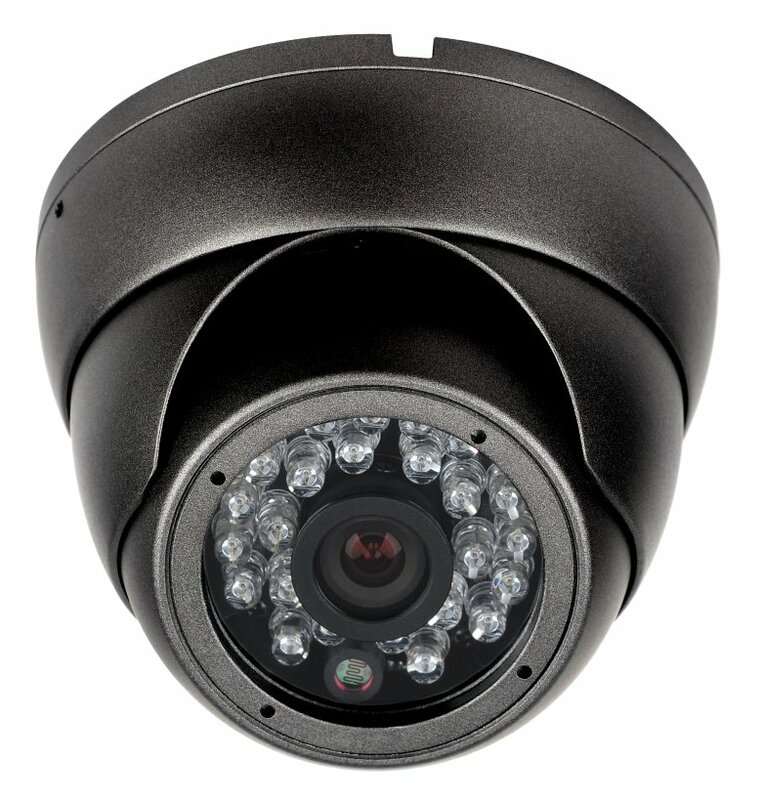 This camera is for use with our 5MP All-In-1 Security DVR series. Comes with a 3.6mm fixed lens for wide angle coverage and the 5 Megapixel image provides more than 2.4 times the resolution of 1080p cameras.